Businesses of all sizes see this emerging technology as vital to their future success. More than half (58%) of business leaders in the UK believe Internet of Things (IoT) technology is 'vital for success' according to a new report from Vodafone. To compile its new Digital, Ready? report, the company surveyed 2,000 business leaders from large enterprises to sole traders to reveal that whatever the size of an organisation, IoT is viewed as a key driver of success. For businesses with up to 49 employees, 41 per cent believe IoT is vital for success while at large enterprises (2,500+ employees) this figure rose to 67 per cent. 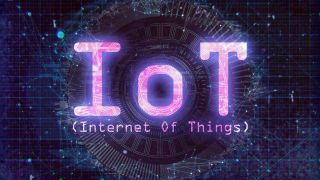 Vodafone also learned that 64 per cent of all respondents believe IoT will improve their business operations and 62 per cent believe that every business stands to benefit from this technology. When it comes to businesses plans to implement IoT technology, 31 per cent of all organisations intend to adopt IoT during the next two years. This even includes a quarter of businesses with 1-49 employees showing that even small businesses believe they can benefit from IoT. Of businesses with 50-250 employees, 39 per cent plan to adopt IoT technology during the next two years and 30 per cent of large enterprises also plan to follow suit. “IoT can drive innovation and value within an organisation, helping it to achieve operational efficiencies, build more valuable relationships with its customers and facilitate entirely new business models," said Anne Sheehan, enterprise director at Vodafone UK. However, a lack of understanding could hold back this emerging technology's potential with 41 per cent of business leaders concerned that IoT is too complex for their business. Of those surveyed, 36 per cent openly admitted to not understanding it and this admission was spread evenly across organisations of all sizes.